If these bottles look familiar to you, it may be because you have ordered one before at Le Pichet or Cafe Presse, where this white wine from the Tursan region in southwest France is one of our favorites. I have certainly drunk more than my fair share of this versatile, mouth filling wine recently. Domaine les Pentes de Barène is a white that has dry acidity to pair well with seafood but also the body and richness to be a great match with a roasted chicken or even pork. I recently had a chance to visit the Domaine les Pentes de Barène and was surprised to find out just how tiny it is. 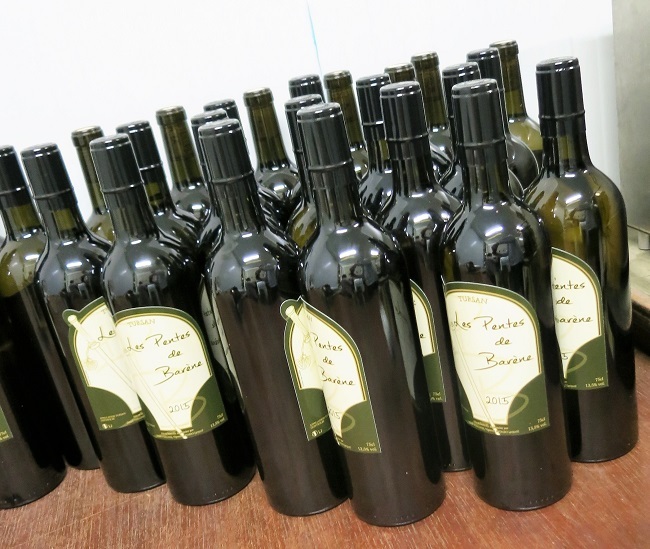 At just over 1.5 hectares (about 3.7 acres), les Pentes de Barène is officially the smallest domaine in the Tursan AOC. Owners Daniel and Gaelle Vergnes are the entire staff and together produce about 5000 bottles a year, with nearly every step done by hand. That includes hand harvesting in multiple passes through the vines to insure that only mature grape bundles are included, and even hand filling, corking and labeling every bottle. In case you think that merely turning out 5000 bottles of wine a year is light work, consider that Gaelle and Daniel have two children, and in addition to the time they spend working on the domaine, Daniel also works as a vineyard and wine making consultant for other winemakers in the area and Gaelle turns out finely stitched napkins, handkerchiefs and doilies that she offers for sale to visitors. And, by reservation only, they also prepare vineyard dinners for groups of up to 12, served from a table set amid the vines. Kinda makes me wonder what I do with all my time! The 11th century church in Pimbo. 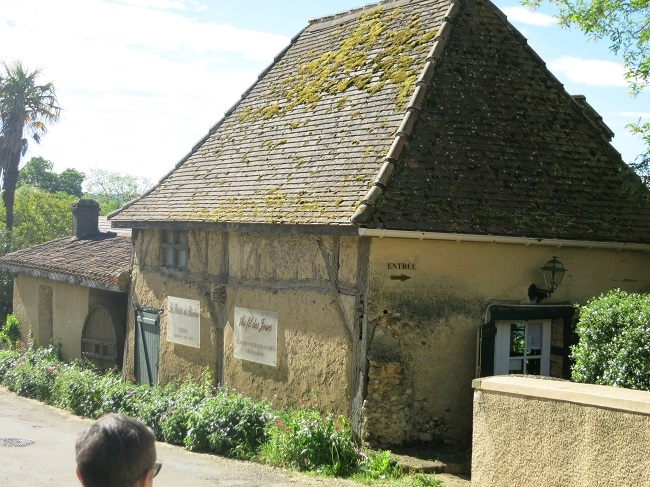 I was thankful for the detailed instructions Gaelle sent for finding the domaine, because even in it’s tiny town of Pimbo (population 202 souls), you could drive right by the 300 year old barn that houses the Pentes de Barène tasting room if you weren’t looking for it. 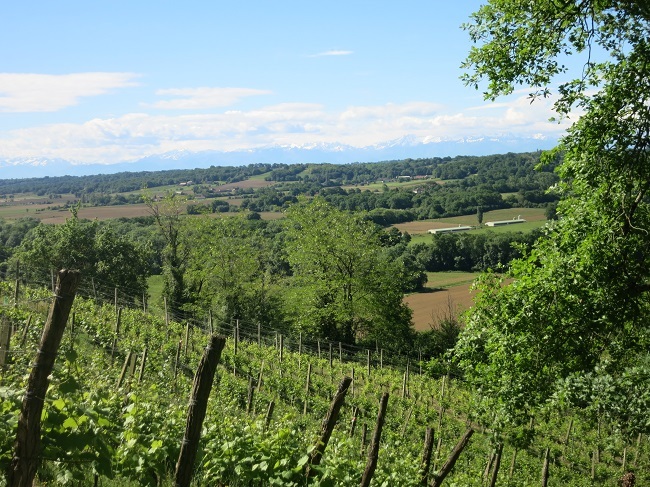 The vines themselves cling to a steep south-facing hill with a magnificent view on to the Pyrenees, but, as they are hidden between a stand of old oaks and a long row of fruit trees. it is hard to get a look at them until you are right among the vines. On this day in early May, the cherry tree was full of ripe red fruit and the noise from the bees busy in the fig, pear, quince and peach trees was palpable. The vineyard, with southern exposure facing the Pyrenees. The vineyards include four varieties of grapes, all used to produce white wine: gros manseng, petit manseng, sauvignon blanc and baroque. Gros and petit manseng are the well know white wine grapes of the southwest, most notably in the wines of Jurancon. 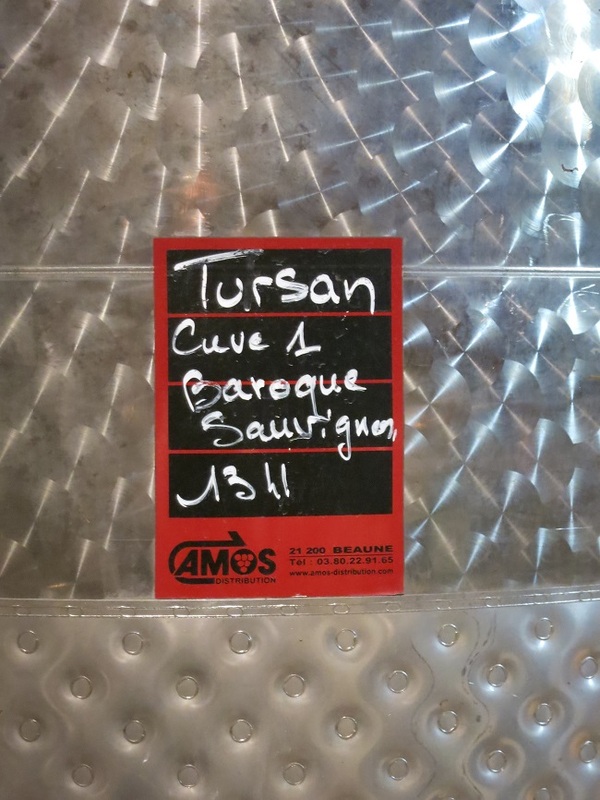 Baroque is a local variety that Gaelle said is only grown in Tursan. Daniel and Gaelle turn most of their yield into dry whites, but as of 2016, they also make a limited number for bottles of sweet white wine exclusively from petit manseng…I was lucky enough to receive 2 of the only 250 bottles of sweet wine produced in 2016 as a gift at the end of our visit, with the proviso that it cannot be tasted until after July 2017. The entire 2016 yield of sweet wine resting in the cellar. Les Pentes de Barène is not certified organic; being so small, the costs of certification are outside their budget. However, in practices they are completely organic. 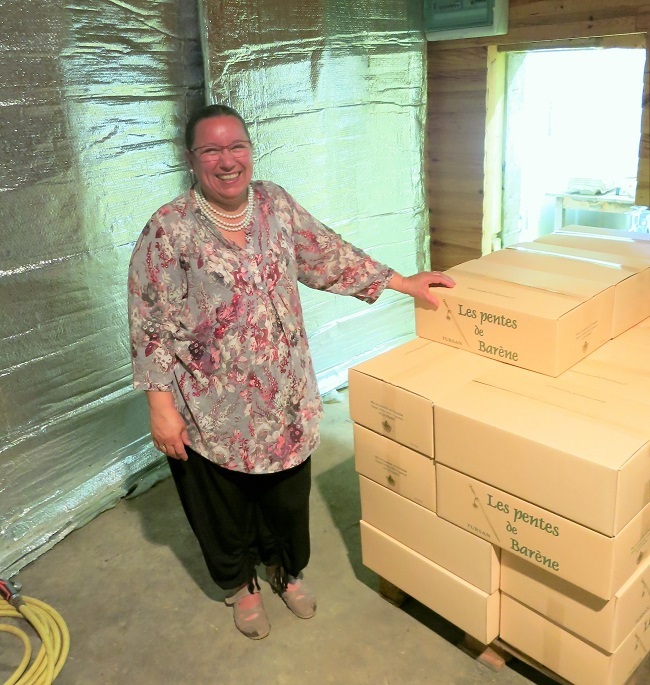 As Gaelle explained, they feel that their primary job is to act as stewards of the land. If they get that job right, the vines will take care of themselves. The vineyard is knee deep in grass, wild flowers and clover, which helps the vines stay cool in the summer heat. The surrounding trees and forest provide wind breaks and habitat for the biodiversity that keep pests to a minimum. Compared to many vineyards I have visited, where the soil is bare and the landscape is grape vines as far as the eye can see, les Pentes vineyards seem like an idyllic paradise. Gaelle in the cave, where she and Daniel make, bottle and pack their wine by hand. As for what happens in the cave, the same philosophy dominates: let the wine do what it wants without trying to impose a style. 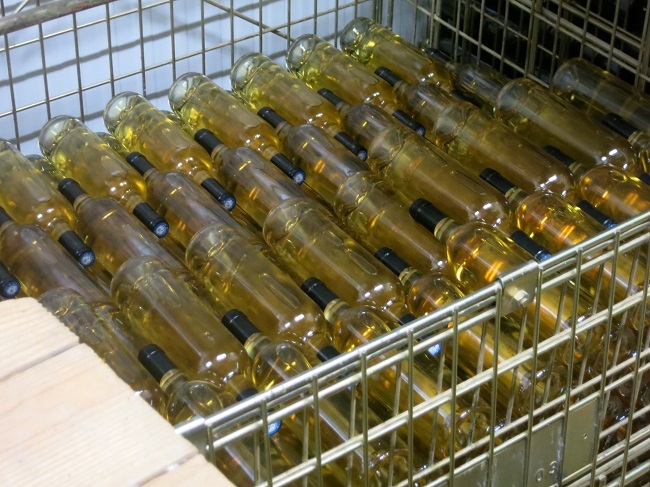 The vinification is in stainless tanks without any time spent on wood. The result wines that are both lively and mouth filling at the same time. Rich and pale golden, they differ greatly from the leaner wines of neighboring Jurançon and Cotes-de-Gascogne. After our tour of the vineyards and the cave, as we tasted wine, I couldn’t help but do a little quick math: With an annual production of 5000 bottles, I estimate that our guests at Cafe Presse and Le Pichet drank about 15% of last year’s total. And I must have drunk .5% of their yield just on my own! I asked Gaelle if she thought it strange that there could be such a connection between her tiny piece of land in Tursan and my two restaurants in Seattle. She just smiled and offered another glass. 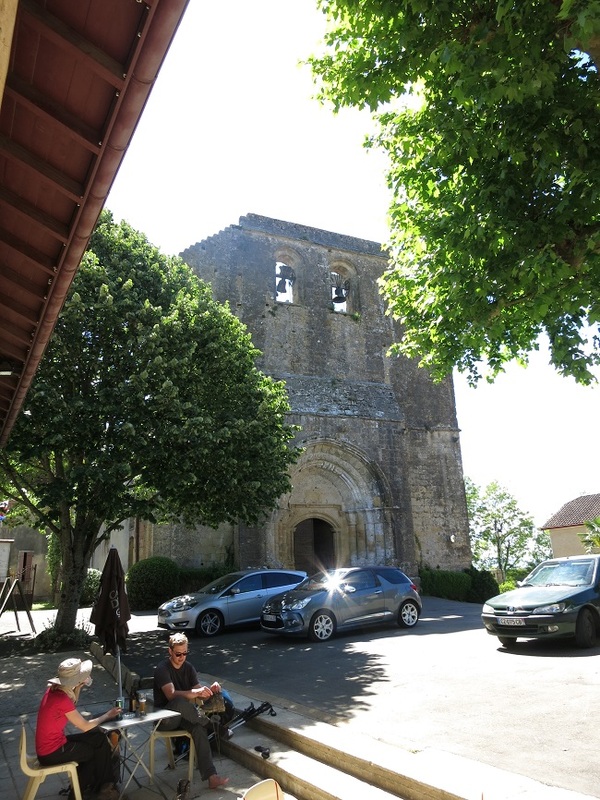 This entry was posted in Wine and tagged Béarn, Beverages, France, Wine. Bookmark the permalink.